The cache is NOT at the published coordinates so please dont go climbing all over it. Visit the waypoint which is the village sign and answer a couple of questions to find the coordinates of the cache. 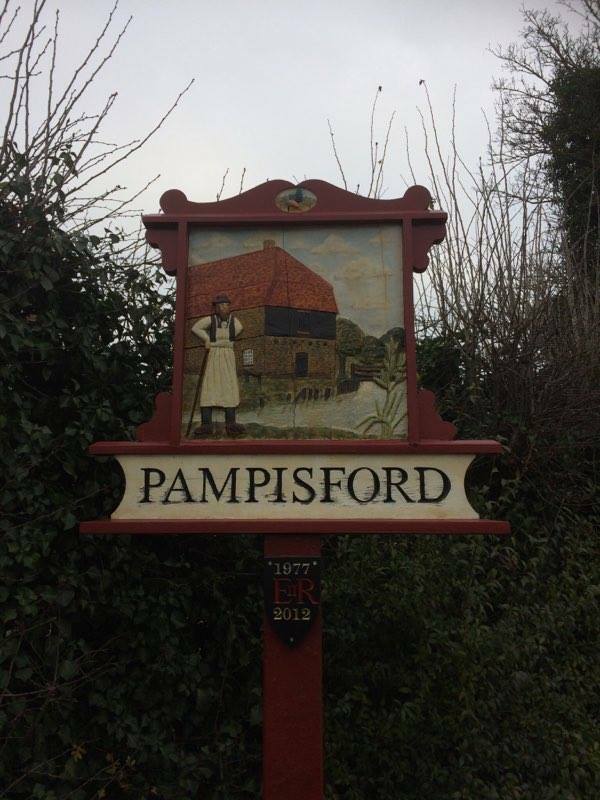 Pampisford is a village, south of Cambridge, on the A505 road near Sawston, Cambridgeshire, England. Pampisford Hall, the principal house of the village, was rebuilt to the designs of George Goldie for James Binney, whose descendants still live there. In the park is a pinetum, planted with fir trees from Japan, Mexico, China, California, Austria, and the Pyrenees. The remaining section of a defensive ditch, dug to close the gap between forest and marsh, is known as Brent Ditch, which runs between Abington Park and Dickman's Grove, and is most clearly seen in the park of Pampisford Hall. The sculptor Antony Gormley lived in a cottage here whilst an undergraduate of Trinity College, Cambridge. On the back of the village sign there are A bolts. On the back of the village sign there are B holes where bolts should be.